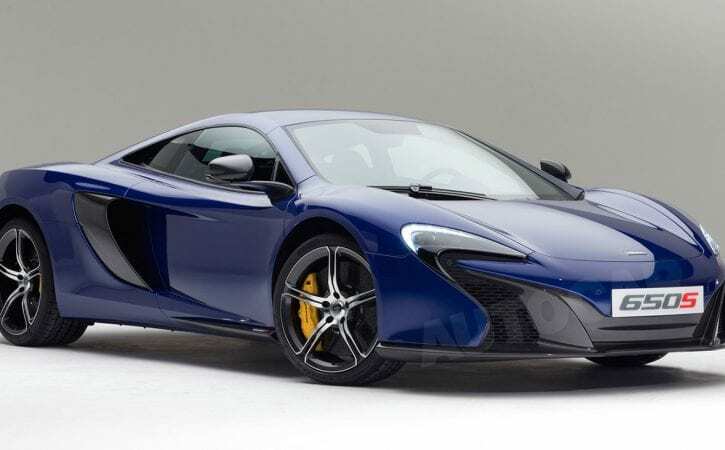 This is the new McLaren 650S, a £190,000 mid-engined coupé that’s capable of hitting 207mph. It will make its public debut at the Geneva show next month alongside a 650S Spider model. The car is closely related to the 12C but is £20,000 more expensive and closer in styling to the recently launched £860,000 P1 hypercar. It also incorporates a basket of detailed revisions that improve performance in all areas but major on driver involvement. McLaren’s 650S gets more standard equipment than the 12C, including lightweight forged alloy wheels, LED headlights, an Alcantara interior, carbon-ceramic brakes, revised sat-nav and a DAB radio as part of a sophisticated, screen-based audio system. The car also gets a new, wider design of Pirelli P Zero Corsa tyres. However, McLaren insists that the original model will stay in production at £170,000 and will find ready sales in markets where aggressive taxation swells ex-factory prices. Sales volume of the two cars is expected to stay at about 1200 units a year. The big sales boost for McLaren will come after next year’s launch of a £120,000 mid-engined McLaren, codenamed P13. The 650S is instantly recognisable from its P1-style all-LED headlights and other cues that are part of a new McLaren design style created under chief designer Frank Stephenson. McLaren says that the 650S fulfils an early promise made by group chairman Ron Dennis to launch a substantial model every year. About 25 per cent of the 650S’s components are different from those of the 12C. The engine has modifications to its cylinder head and pistons and adopts new McLaren engine management software. Power climbs to 641bhp from the 616bhp of later 12Cs. There is an even greater boost to torque, which now peaks at 500lb ft, a figure developed between 3000 and 7000rpm. To accompany the punchier engine, the 650S’s seven-speed dual-clutch automatic gearbox gets quicker, better-controlled gearshifts that make use of new McLaren patents. The 650S’s 0-62mph time is 3.0sec (a cut of 0.3sec) and the 0-125mph time is more than a second quicker at 8.4sec.